Facebook’s Initial Public Offering (IPO) was an epic faceplant for the ages. Countless billions of dollars of shareholder value were wiped out within days, and the entire social networking sphere got a financial black eye that will take many years to heal. You might think that given the unmitigated disaster that occurred when social networking met Wall Street, other players in the arena might think twice about launching their own IPO but nothing could be farther from the truth. 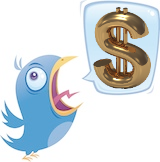 Twitter is planning to go public as early as 2014. Twitter has just reshuffled its C-suite to facilitate the financial legerdemain… er… planning that is required in order to launch a successful IPO. The massive overhaul of personnel has been experienced all the way down the corporate hierarchy as Twitter has been poaching so many Google engineers that the microblogging giant’s HQ on trendy Market Street in San Francisco is coming to be known as the Twitterplex. It’s hard to believe that just about a year ago, Twitter’s payroll barely stretched to 200 but is now likely over 1,500. This massive amount of employee growth marks a maturing of the entire company and the realization that there are many things that must be achieved at Twitter beyond keeping the servers up to feed the world an unending stream of 140 character pap and wisdom. The new Googlers settling into the panoramic views of the Bill Graham Civic Auditorium and the Van Ness Keno Market may find that they have taken an inordinate amount of Mountain View with them. Twitter is being remade in the Google image whether or not that was the intent of the executives who implemented this clone job. And Googlers who are confronted with processes that do not adhere to the Googleplex way of doing things are swiftly changing their new company to suit their comfort zone. This Googleization of Twitter has positive and negative ramifications. Twitter is no longer the little scrappy alley fighter that dared to bite the ankles of the social network establishment. Twitter is now an integral part of the establishment itself, and has become a global force with more than 200 million real and active users. Twitter has been praised and blamed for everything from disseminating Paris Hilton inanities to guiding and shaping the events of the Arab Spring and beyond. Twitter is now a major force to be reckoned with not only in the world of social media but among all of humanity, so it was seen necessary to give the service a massive overhaul that would allow it to perform well in its new “grown-up” role. The preparations for Twitter’s potential 2014 IPO have required changes that have profoundly shaken the entire organization. The executives who have mandated these extensive modifications seem to have learned from the Facebook mess that it’s not sufficient for your CEO to show up at an investment bank in a hoodie and pay absolutely no attention to the meeting. An IPO is serious business and Twitter wants to be prepared. Sooner or later every aggressive, edgy online startup that balloons in size and influence beyond its wildest dreams ends up becoming a corporate factory, and Twitter is certainly no exception. Some of the old time original Twitter employees might grumble at the fact that the company has taken a turn down corporate lane and is emulating the albeit winning ways of one of the largest corporations that the world has ever known, but you can’t argue with success and the Googleplex has been able to manufacture that particular commodity by the metric ton. It’s quite good news that Twitter is going for IPO. I think IPO would make twitter more stable organization. Facebook’s IPO is a hit for them, hope same for twitter also.